I’m just getting back into tech diving after more than a ten-year hiatus and loving every minute of it! As far as my background, I grew up in the Midwest reading about the undersea adventures of Jules Verne and William Bebe and watching Lloyd Bridge’s Sea Hunt and Jacques Cousteau on TV. I got certified in 1976, after moving California to attend grad school in engineering at Stanford University. I ended up taking classes at Hopkins Marine Station and working as a student research diver for a couple of semesters counting abalone. I was hooked. It was in the late eighties before anyone knew to call it tech diving. I got involved with a group called the Cordell Expedition doing biological surveys on the seamounts off the coast of Pt. Sur in Northern California. We were doing 50-60-meter decompression dives on air with USN tables (But no O2!!@#$?). I decided to write an article about the expedition only to find that no one would publish it. The “D-words” i.e. deep, decompression diving were off limits for recreational divers and consumer publications didn’t want to incur any liability. 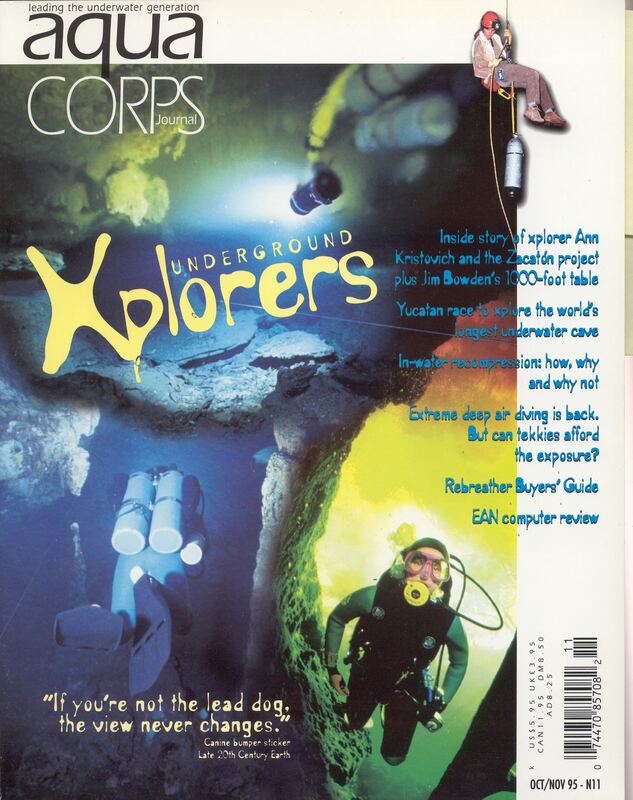 Eventually I persuaded Ken Loyst, publisher of “Discover Diving” to run the story, which he did, but not without adding warnings and disclaimers practically on every page. With more research, I discovered that there were many small groups of experienced divers venturing out beyond the recreational No-D limits, but no one was talking about it. It was all hush, hush, in the closet. 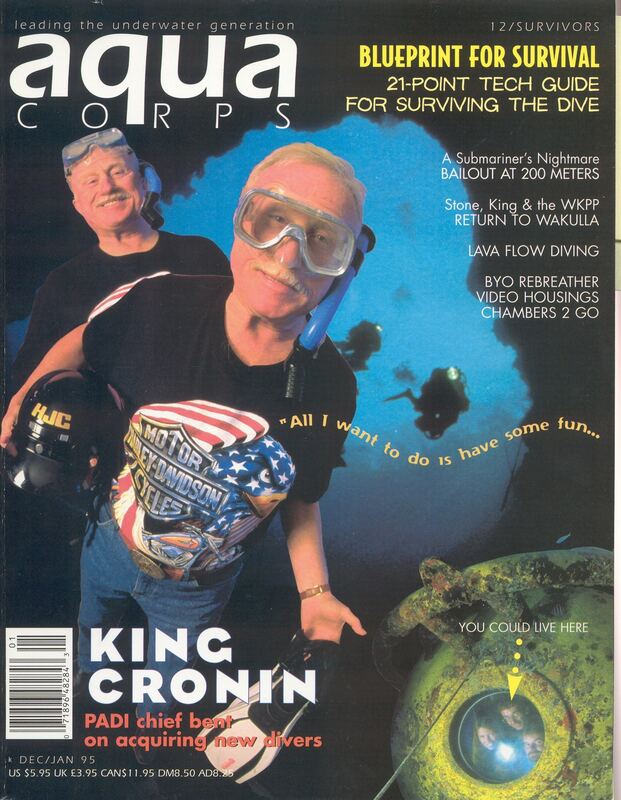 Long story short—I ended up launching “aquaCORPS Journal” (1990). I was fascinated by this kind of diving and figured others were just as hungry for the information as I was. We started calling it technical diving (similar to ‘technical’ rock climbing) to distinguish it from recreational diving, and the name stuck. In 1991, I moved to Key West, Fl. to help Capt. 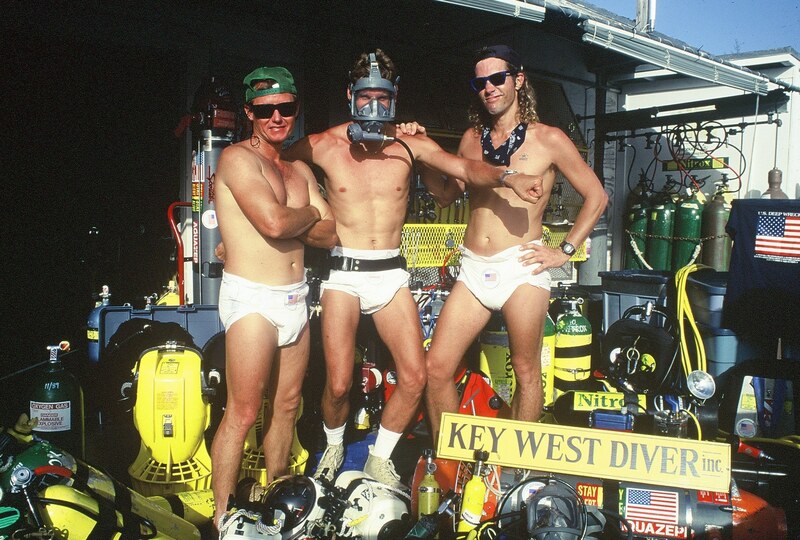 Billy Deans, owner of Key West Diver set up the first tech diving training center in the U.S. and was part of the instructor team for the next five years. Later, I helped organize the first tech diving conferences in the US, Europe and Asia to bring interested divers together, and things really took off. Those were heady times! Yes, I’m really interested in rebreather diving and hope to begin my CCR training later this year. 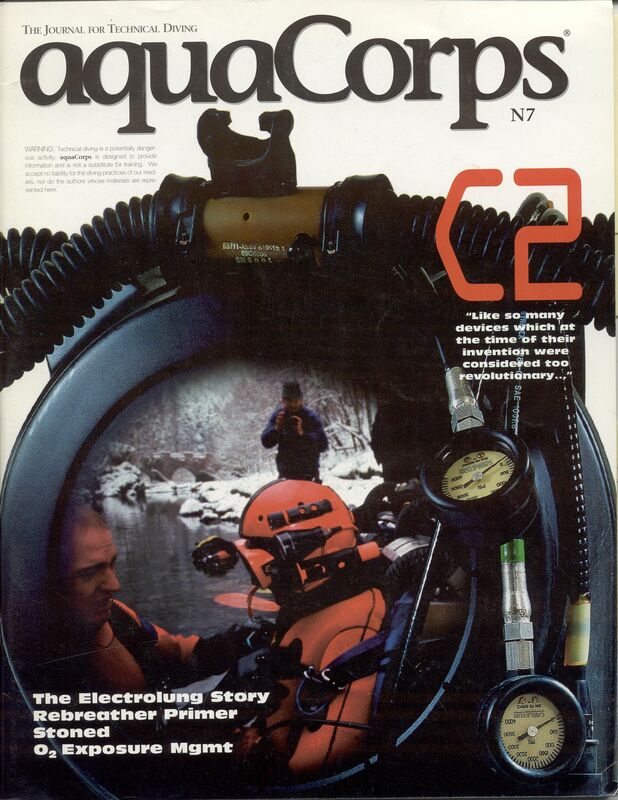 Rebreathers were just becoming publicly available in 1996 when aquaCORPS sucked down the last of its financial breathing mix and expired. (It made me cry!) Later that year I worked with PADI to organize the Rebreather Forum 2.0 conference in Long Beach, CA. But at that point, I was burned out and got out of diving. Now that I’m back, and I want my CCR! What kind of diving environments? I’m very partial to cave diving, but I love ocean diving too. Heck, I just love being underwater! Shipwreck diving is also very cool, though I’m more of a “take only pictures leave only bubbles” sort of guy! What is it about tec diving that is drawing you back? We used to say that tech diving was a “discipline,” but it is probably better described as an “art and a practice,” like meditation or playing music. The best part is that you get to visit these magical places where few, if any, people have been before. But in order to do that you have to put together and master a fairly complex set of skills and knowledge and planning and equipment and supplies and teamwork. I think it’s that combination of things, from the physical to the sublime, that make it so satisfying and compelling. There’s just nothing like it! What are the most important attributes of a tec diver for this type of diving? I think attitude is really important: self-discipline, staying cool under pressure, being flexible, curious, always trying to learn from your mistakes, having good teamwork skills, humility (leave the macho at the car), a sense of wonder and a strong sense of self-preservation. Dive as much as you can! 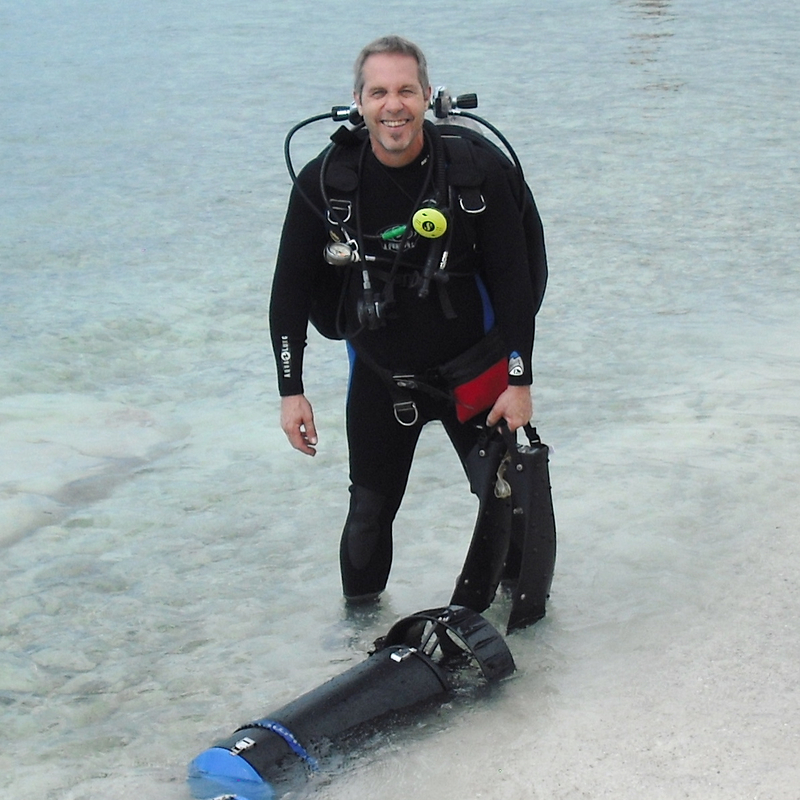 Seek out the best training possible-find instructors that are doing the dives! Expose yourself to different teachers and philosophies. Get cave trained (whether or not you plan on doing much cave diving)! Find a group that is doing the kind of diving that appeals to you and apprentice with them. Train hard, build your experience and have fun! When should we expect to see aquaCORPS 2.0? Ha! That’s what I’d like to know! Actually, I’ve written several recent articles for the “NACD Journal” and “Diver” magazine (Canada), and I have some ideas for a larger writing project that I’m exploring. There are so many exciting things going on in diving right now!